Who would have thought the Black Eagle Force writing team could keep their exciting adventures going? I did. 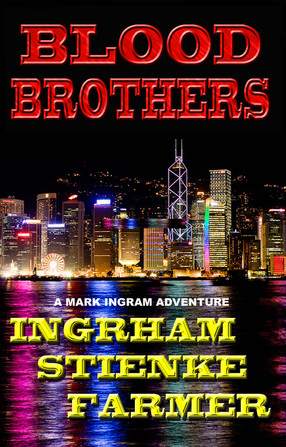 Doran Ingram, Ken Farmer and Buck Steinke have written a new Mark Ingram spinoff entitled Blood Brothers. The plot follows Mark Ingram to Africa to help his blood brother, Rhino out of a potentially dangerous situation. Then he is 'transported' to Hong Kong in a second plotline involving illegal ivory poaching. The thrills and plot twists are classic for these three BEF authors, so you will not be disappointed. You are going to have to read this book to experience the exciting twists and turns that Mark Ingram and his team go through.